Did you know that Javy Baez’s first name is Ednel? Or did you think it was actually El Mago? Sometimes I wonder, because the guy is just so magical in every way that it would be appropriate if his name literally indicated he was a magician. 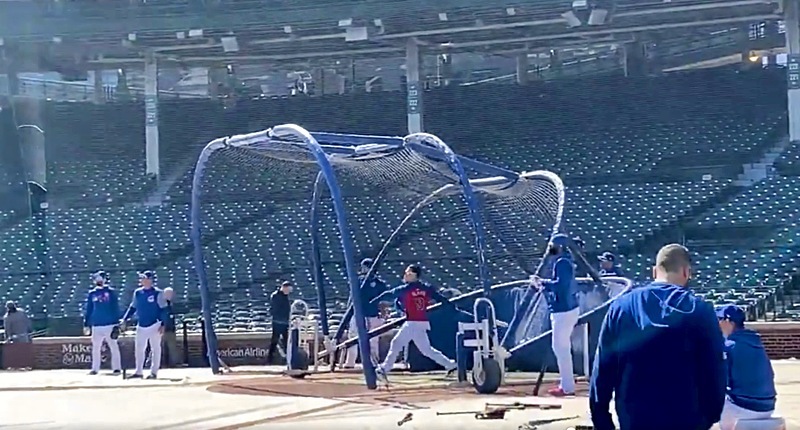 Javy just hit back-to-back HRs left handed during BP. You can tell from the sound and the turned heads that Baez is getting these. Not a bad looking lefty swing, either.